My latest completion, PT-61 in 1:24 scale. 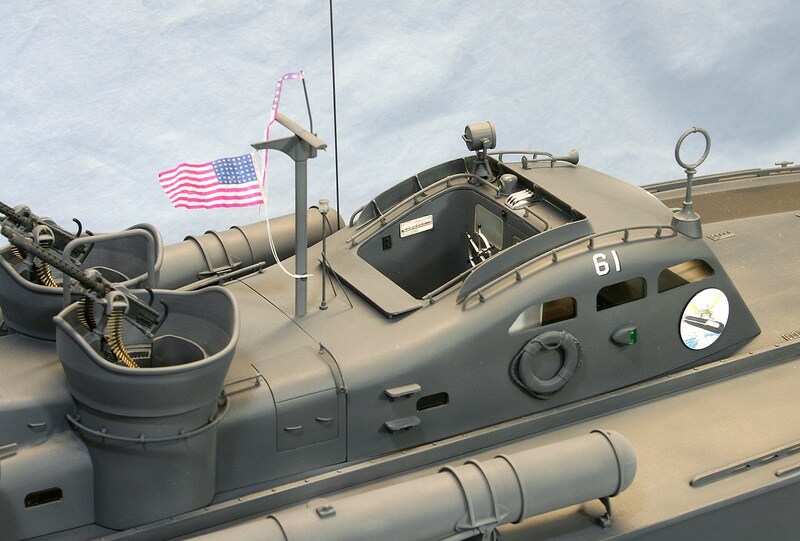 At almost 39 inches length, the model is large enough for R/C, and is designed as a potential kit for such. However, this build is for display only. 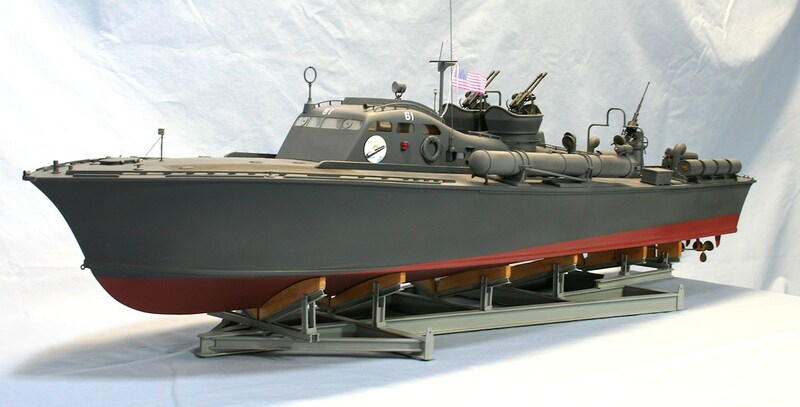 Design references include the original Elco drawings, several excellent books on PT boats, and numerous photos found only online at websites of dedicated PT fans. 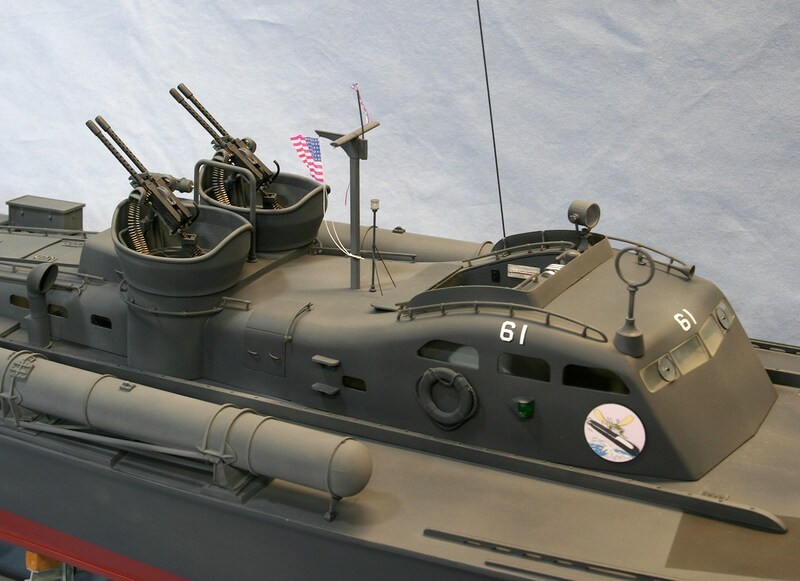 PT-61 is famous for surviving a direct hit in the bow from a Japanese destroyer’s 5 inch gun while operating near Guadalcanal in late 1942. The model sits on a replica of Elco’s A-Frame shipping cradle, constructed primarily of wood. 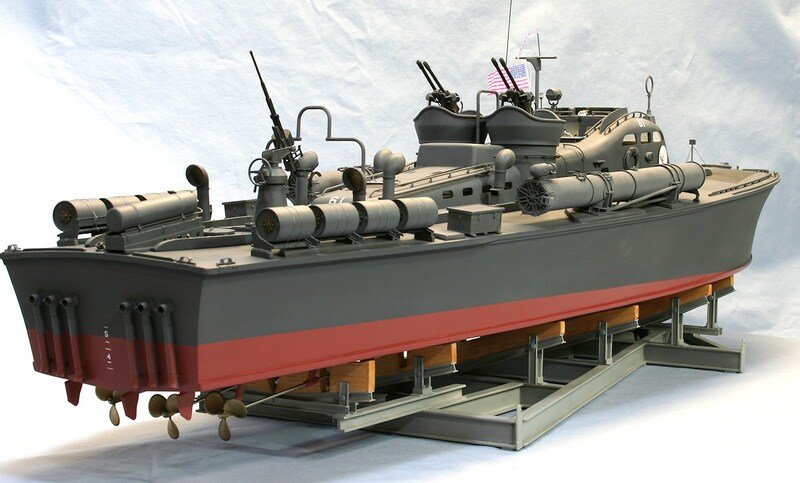 The paint scheme, overall 5D dark gray, depicts the boat as-built and as shipped to theater. Please click on the photos to see larger versions! 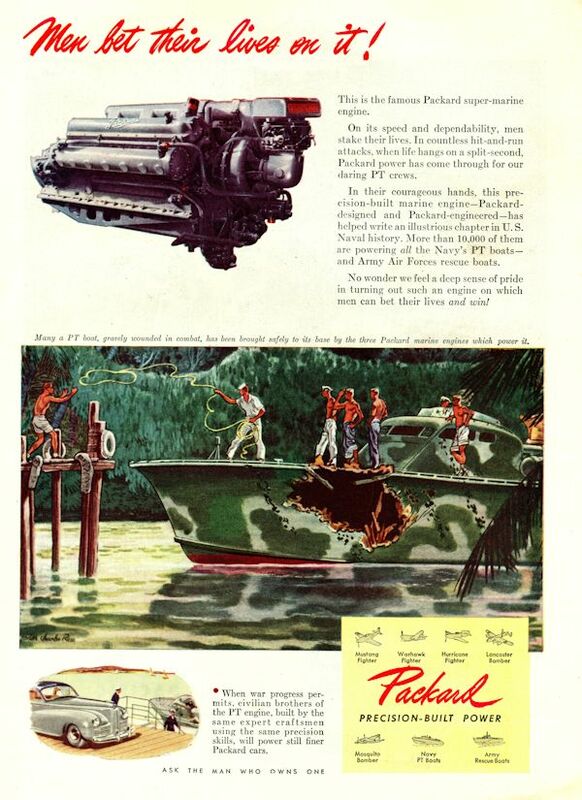 Artist’s fairly accurate rendition of the damage to PT-61. It’s not clear if she carried this camouflage though.